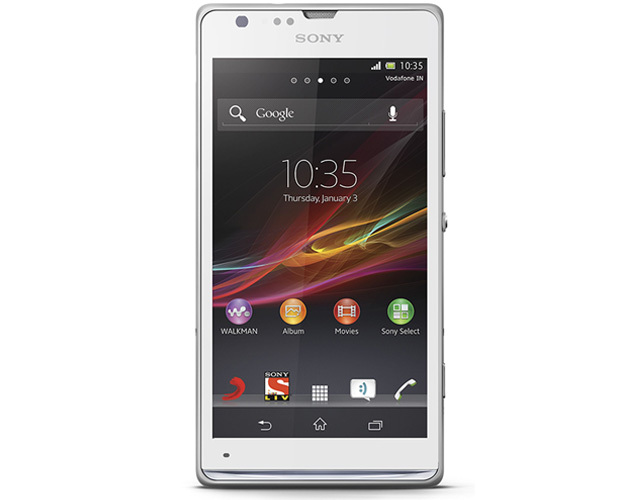 Sony India has launched Sony Xperia SP in India with a razor sharp HD screen in a beautiful design. The Xperia SP comes has 4.6-inch HD Reality Display loaded with latest Mobile BRAVIA Engine 2. The engine will make the adjustment by adding new real-time contrast optimization to the sharpness enhancement, high-quality color management and noise reduction. Sony Xperia SP built using precision-crafted co-molded aluminium frame and it also has unique transparent strip with customized illuminations which you can personalize to alert you of incoming calls and text messages. And you can even set the illuminations to pulse to the beat of your favorite music. The Xperia SP loaded with 1.7 GHz Qualcomm Snapdragon S4 Dual Core processor, 1 GB RAM, 8 GB Flash memory, 8 MP camera with auto focus, 16x digital zoom and pulsed LED flash. The phone runs on Android 4.1 Jelly Bean. Catch Live TV of SAB, Sony Entertainment and Max, Xperia users will have exclusive access to special moments of KBC & Indian Idol. The newly launched Xperia SP will be available in all Sony Centers and leading mobile stores across India. Also, with a purchase of Xperia SP customers will get a free premium case worth Rs. 1,990. The Sony Xperia XP available in Black & White colors and it’ll cost you ₹ 27,490. Available in store from Mid April 13.